You only need to take a cursory glance at most street style blogs to know that bikes are as ubiquitous as the knock-kneed stance and centre-parted fringe. The perfect accessory, bikes have the added advantage of actually being useful – YSL Arty rings might look the part, but you can’t type wearing them and Wang bags might be dreamy but they are also heavier than a wet dog, and that’s without having anything in. Still, being popular is no bad thing – the abundance of bicycles on blogs is hopefully encouraging more people to get on their bikes and ride which can only be for the best. Personally, I failed my cycling proficiency test and can now only be tempted onto two wheels when I’m in the middle of nowhere – but that only serves to make me admire these ardent, stylish, savvy cyclists even more. While the likes of The Sartorialist and Hel-Looks sneak in the odd cyclist, Danish photographer Mikael Colville-Andersen has gone above and beyond the call of bicycling duty, launching a street style blog dedicated to the cause. Cycle Chic is now something of a blogging empire with ‘copycats and collaborators’ in cities across the world, but it all started life in Mikael’s hometown of Copenhagen – apparently, the cycling capital of the world. 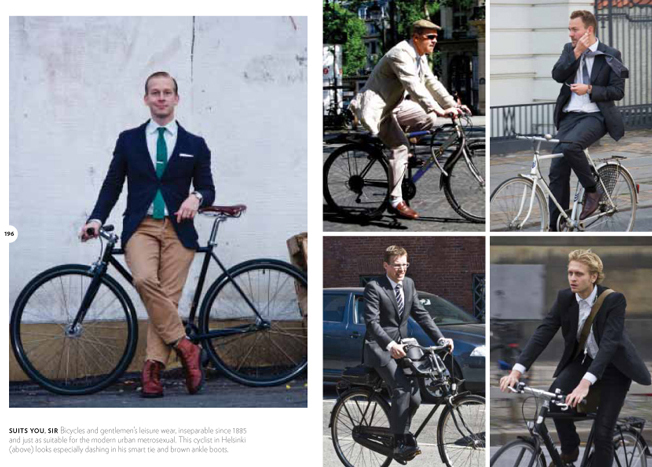 Tomorrow, Thames & Hudson is launching Cycle Chic – a comprehensive collection of some of Mikael’s best pictures organised by themes including Colour, Pattern & Attitude, Dress Me Up, Dress Me Down and the delightfully charming Vélo à Deux which features double the style in every picture. And before you barf, don’t for a minute think that each couple is made up of people… there are plenty of dogs on bikes for us animal-obsessives to behold. Mikael isn’t convinced by the street style tag and to be honest, I prefer his description – even if it isn’t accurate for everyone in the book: “bicycle advocacy in high heels”. 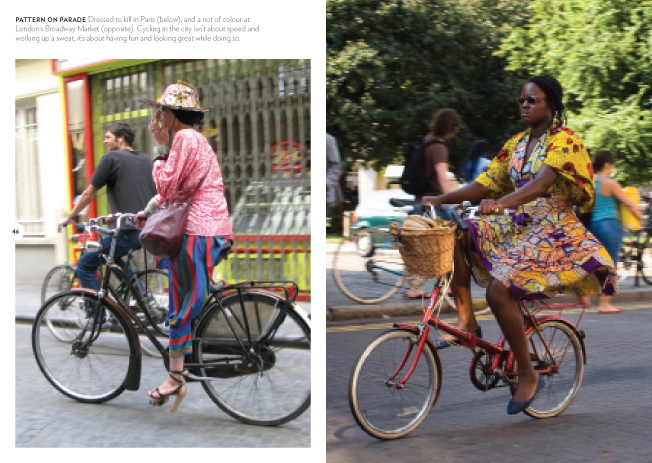 This book is a selection of photographs of beautiful people who are adding to the social fabric of our cities by choosing to ride a bicycle. 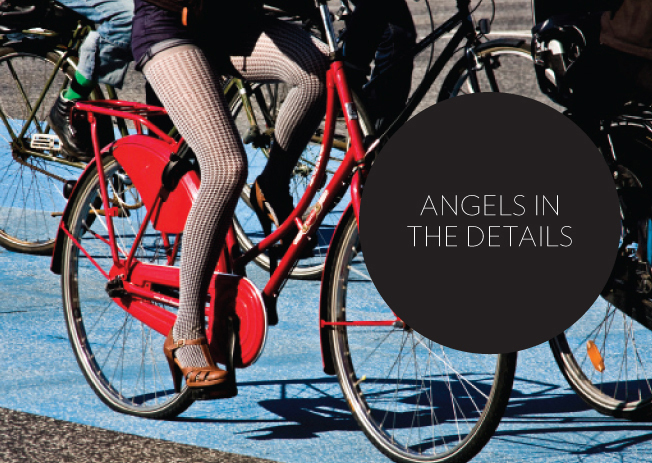 Cycle Chic is just a way of describing how citizen cyclists have used the bicycle since it was invented in the 1880s. Fashions and fabrics have evolved, as they always do, but the simple imagery of people using bicycles in our cities is timeless. It is my sincere hope that these photographs, taken in the now, not only reflect the past but also allow us a glimpse into our future – a future in which bicycles are accepted and respected, and are a truly feasible form of transportation. I will refrain from wearing and owning any form of ‘cycle wear’. For that last reason alone, I mean… I’m a convert. 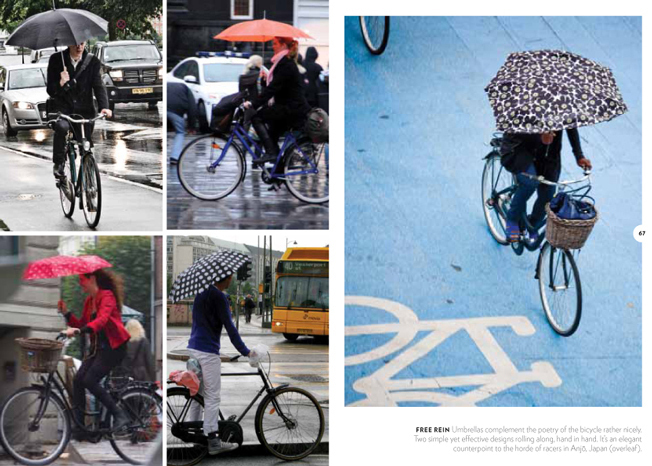 Cycle Chic by Mikael Colville-Andersen is out on 7 May and for now, you can check out the original Cycle Chic blog here. The lady in the cream and spotty dress on the pale blue bike, I know who designed that dress ha! It wasn’t you, was it? I miss spotting your designs! Eeep, you should see some of the dodgy stuff I wear to cycle in. Sure did, I only really got over it this year. What an awesome outfit to cycle in! Hair and beauty hack with a thing for heavy metal. Fan of history, buildings, books, mountains, expensive t-shirts.